Edited by Kwarc at 10:25, 22 Apr 2016. Hello, some of you probably already know that I found a way to export models from H6. Usage is very simple. Firstly we have to extract models from Data1.orc and textures from Data5.orc or Data6.orc using Orc2zip. And then we can open them with Noesis (it need Demonsangel's script in plugins/script folder). That's all. As you can see, meshes and skeletons are perfectly extracted. But there there are no animations. Method that reads them readAnimation() is partialy implemented, but it have to be finished. So there is a question for you. Who want to help me with this problem? Edited by foxxxer at 19:05, 22 Apr 2016. 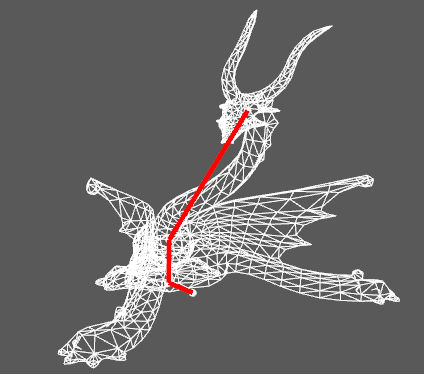 @Kwarc, did you manage to extract bones along with the mesh because this above looks like coordinates (x=0.000031, y=0.000000, z=0.000000) of "Bone 0" at frame 0. It looks like this "Bone 0" is static through the whole animation which bugs me a bit. I hope that some info didn't get lost during the extraction to *.anm file. If you open Phoenix_Ability.anm you can see that there are no coordites for some bones for instance from 8 to 19. They might be unused, who knows. For some others you can see how the bone change its posiotion in the space (check the end of my post). Also, is there someone among your friends who work in Maya (I don't know if you saw my PM to you so I'm gonna post it here). Some people here claim that older versions of Maya (2010-2012) open *.anm files. If it's possible then the animations can be converted to some more "normal" format. But even if you manage to convert the animation still requires bones. Yes, I've extracted bones. You can see them on the screen (red lines). You are saying that this vector shows us x, y, z position? Maybe, but what about rotations etc.? I'm not sure just looks like those are coordinates. I don't know about the rotations. The other thing that bugs me is those blocks- what are they in reality? Can you share the mesh with bones in some format compatible with 3ds MAX. If I have time during the weekend I can play a bit. Of course, here they are. Do you want .anm files too? Edited by foxxxer at 21:48, 22 Apr 2016. Yes, please! Most likely during the weekend I'm gonna install Maya and try to match the models, bones and animations even though I have 0 experience with Maya. It shouldn't be much different from 3ds max. @Kwarc, there are no bones for Kirin neither for the catapult in the files you shared. Edited by foxxxer at 22:15, 22 Apr 2016. And as far as I can see the number of the bones (88) matches the numbers in .amn files. And how is the progress? I was thinking and maybe in that vector we don't have position, by movement in x, y and z axis? And block? Maybe they have to start/end together or something? Edited by foxxxer at 19:38, 23 Apr 2016. It didn't work. That's the message Maya shows: // Error: Error reading file.. The basic build of Maya doesn't import .anm files so I had to install Riot File Translator which deals with .skn, .skl and .anm files but the result is clear. I think you're right, Noesis just make arbitrary extension of the exported files. I guess there should be created script to convert those files but I don�t have any coding skills. Also I think the values in "vector" section are smaller at least 5 orders and the worst part is it looks like they are rounded. Of course if those values are coordinates. But there should be some information about the position of the bones through the animation. Maybe they have to start/end together or something? They shouldn't. That's why I think Noesis rounds the values. First the program makes very small value (like 0.000001***) and then rounds it (0.000001). 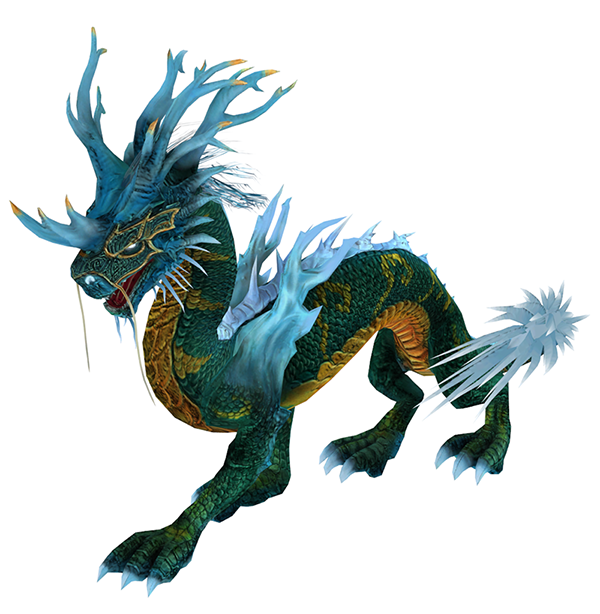 If you open the mesh (Kirin) and create a box in which the Kirin would fit (without the tail) the dimensions are as follows: Length= 0.82, Width=0.23 and Height=0.69. So if the "vector" section shows the positions it's not gonna be seen any noticeable Kirin movement. Damn... That's not good. It we nad it, we could transfer whole fractions to H7. But there is always a way... we fan just recreate animations, but... I'm not good at it. Can i suggest you start with Necropolis and Inferno units? I mean, in order to make a true Necropolis Faction for heroes VII we do need the Ghoul, Old Lich and Namtaru. Old Lich could be named Acolyte/Neophyte and be an alternative to the spider for those that don't like it and Ghoul could be an alternative to either skeletons or Ghosts. The Namtaru (preferable with both its forms or just one of the two) can be the alternative to Vampires. From Inferno, the Pit Lords and Tormentors could be good additions to what we have now. I might be wrong; it's just a guessing about the rounding of the values. As I said I have 0 coding skills, it's just the code looks like that to me - bones, frames etc. Do you have any control over the code before extract the files. I mean, can you force Noesis to make the vector values bigger (0.000001*** -> 0.1***) so we can see if there are some digits after "1". I'm not familiar with Noesis yet, I barely managed to export the basic Faceless model and bones. I tried to use H7 Faceless (which is H6 Faceless upgrade) animation and applied it to the H6 basic model. It didn't work, I guess because the bones' names are different, also H7 model scale is like over 100 times bigger. I suppose it would work if the bones are renamed but the amount is crazy, like 250 or so and have to be careful to match name of H7-bone to H6-bone. Another approach would be to rescale H6 model and use H7 bones but this is even more tiresome as bones affect areas should be repaint. You have to make a screenshot of the H7 model affect area for every single bone then repaint the H6 model. It would be very slow process. It doesn�t matter which faction would be first. The problem is the animation. It would be a matter of days or weeks top to implement almost all H6 critters in H7 if we had animations. I tend to agree somewhat, but since the actual extraction specifically looks at H6, I've decided to let it stay in the H6 forums for now. If the OP feels it should be in H7 instead, I will move it for him. Edited by Kayna at 23:21, 01 Aug 2016. Is there a way to export stuff from Neosis to Blender ? 3d mesh? Or can I export what is extracted to blender right away? How can I turn these .gobj into basic .obj or other format that can be imported in blender? Have you already figured it out? 3D Max could handle .anm files. If it passes through it, we'll get it to H7! Especially inferno - I miss it in heroes 7.